A jewel thief was caught when the diamond she stole from a jewelry fair in Bangkok refused to vacate her body. Jiang Xulian and a male accomplice allegedly switched the 6-carat diamond for a fake gem when they asked to take a closer look. The two were attempting to fly out of Thailand’s Suvarnabhumi Airport with the stolen gem when they were caught by authorities. They denied involvement, but an x-ray showed the shiny rock hanging out in Xulian’s large intestine. 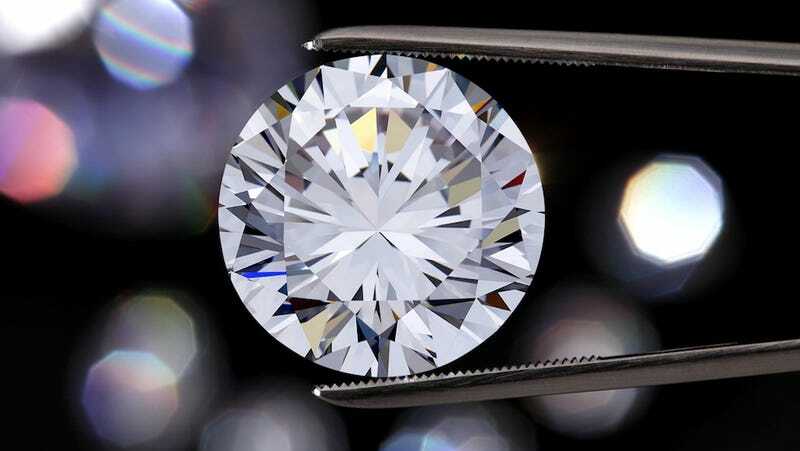 After laxatives couldn’t relieve this glamorous case of constipation, a doctor successfully removed the diamond from the woman with a colonoscope. According to AP, the gemstone was worth 10 million baht, or the equivalent of $278,000. After it was removed, the owner confirmed it was the stolen jewel. Xulian and her partner could face up to three years in prison, if convicted.